Hi! I’m Thomas Dahm, and Neon Moiré is an online calendar with the best design-driven conferences around the world. Designed to save you time and get you up to date. It started as a fear-of-missing-out-project after discovering a conference on internet culture in Barcelona, two days before the inaugurated edition kicked off. That was in 2015. 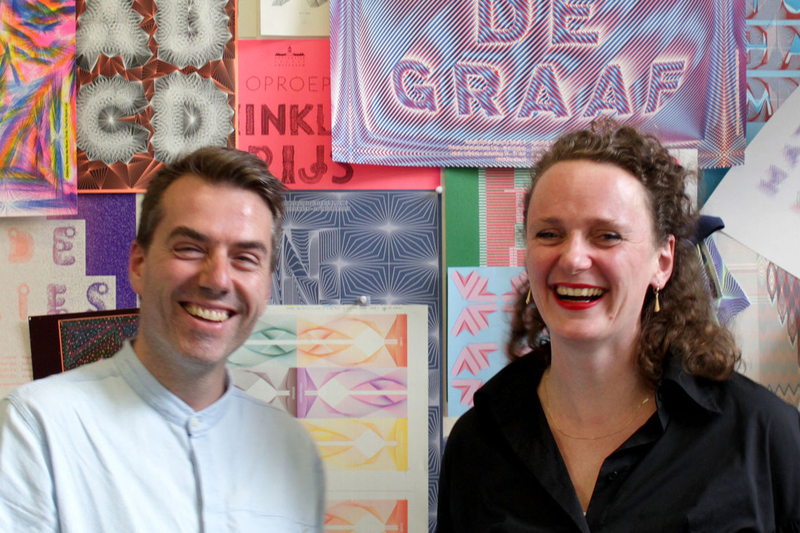 Since Neon Moiré grew more than 250% every year through little more than word of mouth. Now Neon Moiré has a weekly newsletter called Neon Monday and a podcast the Neon Moiré Show. Why? Because there are so many amazing design-driven events happening where you can get inspired, meet and make new friends and learn about upcoming futures. I have organized and designed for multiple conferences and festivals in a wide variety of disciplines reaching thousands of people during the events. Since 2005 I work as an independent graphic designer with a focus on editorial graphic design, in collaboration with clients and partners on a broad range of projects, including typefaces, books, exhibitions, digital platforms and event branding. Projects include the branding of the German contribution during the 14th Architecture Biennale in Venice and book designs for publishers such as Hatje Cantz and Birkhäuser. Every day I scan my curated RSS library and many other sources, to find the most interesting design conferences and happenings on our digitized world to bring that to you. Neon Moiré, to me, is a place to learn and experiment in concept development, entrepreneurship, design, writing and opinion. Why a podcast and newsletter? Well, why not. As a huge fan of podcasting I really wanted to experiment with the medium. When Maral Pourkazemi motivated me during her talk at FITC Amsterdam I took the dive and recorded my first episode with her. The newsletter started as a monthly round up of things that came out on Neon Moiré. Now Neon Monday comes out every Monday at 7:15 am CEST. With a comprehensive list of upcoming conferences, a selection of short events that happen this week around the world. Talks to watch, exhibitions to visit and promo codes for discount on tickets. The website is editorially independent, which means that NONE of the events listed on neonmoire.com have paid to participate. The selection is based upon the profile of the event, the duration and its speakers. I have received a grant from Creative Industries Fund NL to develop Neon Moiré futher and i'm experimenting with paid services, advertising and funding via Patreon. Please feel free to submit your event, festival or conference. If you have more information or details for any of the events listed, or information on a event we might have missed, please fill out this form and we will update our page. If you’re just joining us, I hope you find great value in Neon Moiré. You can also support my work at patreon.com/thomasdahm or sending us a one-time donation through PayPal. Thanks so much for your support. Have some questions? Feel free to get in touch with me directly -- I love hearing from people. Recently Creative Network and The Design Kids interviewed me about Neon Moiré and running a independent design studio.